7 Crazy Coffee Creations: Put what into my coffee? Turkish Coffee : The Country’s Other Delight! Should You Be Adding Cinnamon to Your Coffee? Coffee From Do Do, Really? Espresso Jazz! Have You Danced to It Yet? Can Coffee Be Good For You? There’s more to your cup of coffee than a caffeine fix – like banishing unpleasant odors in different areas of your home. Have you ever wondered how long the journey of a coffee bean is before it arrives in your coffee cup? It goes to show that coffee can do more than just being your daily caffeine fix. 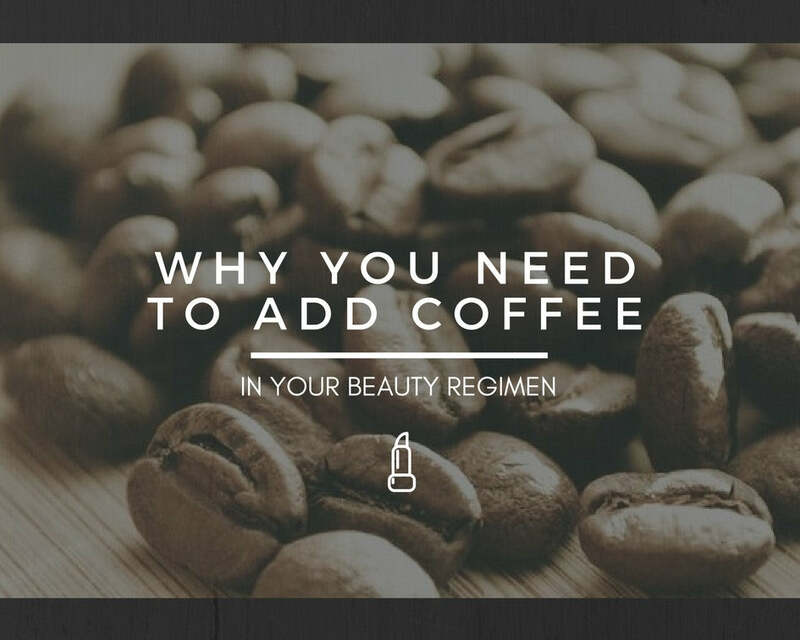 Coffee works as a great beauty fix too! Thinking of giving your usual cup of coffee a new twist? Experiment with these unexpected yet tasty add-ons. Want to simplify your fitness routine? Read on to know how black coffee can actually help you lose weight. If you want a beverage that can benefit your health, look no further than your humble cup of coffee. Are you looking into avoiding cow’s milk in your diet? Can’t seem to figure out the differences in the iced coffee drinks available in shops and cafes today? Trendy coffee shops are now adding oat milk to your brew. ... The grain-rich drink isn't entirely new — Whole Foods sells various brands of oat milk — but baristas say Oatly is the first of its kind to foam, stand up to bold coffee and actually taste good. Have you ever wondered how coffee with some eggs would taste? Yuck! Coffee with eggs! Seriously! The whole idea sounds out of place. Wait a minute! How about the nutritional benefits? An egg contains 99% protein and your body can receive nourishment from this beverage. There are occasions when coffee needs to be served fast to a large number of people. Fulfilling their coffee needs conveniently and without sacrificing quality, can prove to be a big challenge for the organizers. Holidays are the perfect time for enjoying and relaxing ourselves. With a friend of mine coming to stay at my home during the holidays, I was obviously elated. Nowadays, white coffee has generated a lot of interest among coffee lovers. Having a mild and nutty flavor and known to offer various health benefits, people are keen to try out white coffee. Athletes can improve their performance with caffeine. This is even universally acknowledged in the exercise science. However, scientists, athletes, and coaches also believe that one should quit consuming caffeine. You may be fond of pod coffee systems or you may not like them at all. But the truth is that the pod coffee systems have acquired a dominant place in the morning beverage market. You might relate collagen with high-priced wrinkle creams, but if wellness bloggers and Instagrammers go their own way, you will soon be seeing this ingredient in a new perspective. We all are fond of having our iced coffee in the summer, but in the fall and winter months we like go for the latte. On a chilly day, we love to sit inside sipping a cup of hot, frothy latte or cappuccino. You need not wait for any particular season to enjoy a cup of cold brew coffee. As the coffee gives me an energetic and richly fulfilling experience, it features prominently in my morning routine for a pretty long time now. Do you actually need a reason for baking a single dark, chocolately brownie? One that requires just pantry staples and a toaster oven for preparation?A brownie that you need not share with others? Feel like your morning coffee is getting a little dull and boring? Ready to break out of your normal routine? We know just what you need! Craving something sweet in your coffee, but tired of the same old sugar, day in and day out? We all need to shake up our morning routine every now and again, so your first coffee of the day is a great place to start. We love classic combos—peanut butter and jelly, cheese and crackers, bread and butter—the list goes on and on! When you hear the country Turkey, hot air balloons, grand, historical structures and their world-famous dessert come to mind. But one thing that might not ring a bell for many is its other gem, the Turkish coffee. When you're cruising through the mall or racing to your airport gate, a sudden whiff of cinnamon smells like temptation. While nobody would ever mistake a sugary Cinnabon roll for health food, you might have heard that the spice in that decadent pastry is good for you — so good that some health experts recommend swapping cinnamon for sugar in your coffee, including the folks at the Cleveland Clinic. At Christopher Bean Coffee, we are all about sharing our passion for artisan roasting with coffee-lovers around the globe—in as many ways as possible—like on our exclusive Team Bean clothing line! Maybe you had to run out the door before finishing your freshly brewed pot or you simply made too much, but whatever the case, you have leftover coffee in your kitchen. It might not be tasty enough to sip on its own, but don't be too quick to pour it down the drain. Here are seven simple ways to make use of the remaining pot. You need a decent cup of coffee to perk you up on days it seems impossible to get out of bed. It would be hard to go wrong with the back-to-basics vibe and raw flavor you get from a French press coffee, so you may want to give it a shot. What you’re about to read is about coffee fished from the last place you’d thought to look --weasel poop. Also known as Kopi Luwak or Ca Phe Chon. Before you turn up your nose and decide that it’s not for you, know that when you happen to visit Da Lat Vietnam, there is a popular destination which serves weasel coffee while enjoying the scenic view of the city. Keep reading to learn more on how this famous coffee garden produce their own civet coffee bean. What you may not know, is even that small amount of residue builds up over time and taints the flavor of each new product you grind. Well, here’s a quick fix to clean and shine your grinder by removing all that icky buildup! First, many mistakenly pronounce or spell espresso incorrectly. The term “eXpresso” is totally wrong. Placing or saying the “x” sound in the word may be common where you are from, but it can be a bit of embarrassment if said around those in the know! Espresso hails from Italy and has spread throughout the coffee-drinking world with at least 26 different variations (not counting those with alcohol)! Have you ever heard a non-coffee drinker say they would drink coffee but for the “bitter” taste? In certain professional circles, coffee also takes a lot of heat for stomach maladies by being branded as an “acidic” drink. Facts are it rates a five on the pH scale, bringing it below common drinks such as soda, beer and even orange juice! When we study the chemistry of coffee, we quickly see a complex array of compounds that shed light on what is really meant by words commonly attached to this mistakenly maligned beverage. Today, it seems most of the world runs on coffee, and most likely, it’s the first beverage the majority of Americans drink each day! With this nectar from the coffee fruit being so highly consumed, it’s only natural to ask: How much coffee should we be consuming each day? One of the main factors people think about when drinking coffee is caffeine. The acceptable amount for adults is around 400 milligrams/day, which is about 4 cups of black coffee (pregnant women should not exceed half that amount). The overdose amount for caffeine is around 75 cups of coffee, so it seems most avid coffee drinkers are safe! In addition to this, each person’s body processes caffeine differently; therefore, the effects of caffeine will vary accordingly. Continuous use of these K Cups present an impending crisis and subjecting our planet to it is just plain WRONG! Combined with other non recycled plastics, we are emptying tons of cups into the trash with no end in sight. You have seen news about the current havoc our environment is experiencing from non-recyclable, non-biodegradable k cups and we know you do NOT want to be part of this ever-growing, world-wide problem. Just like any other work of art, roasting coffee takes time & careful attention to detail. Therefore, creating an excellent cup of joe starts way before the brewing method; it begins with roasting. In order to conserve the freshness & quality of well-roasted coffee beans, until they become the sweet nectar that is coffee, there are several helpful guidelines to go by. Anyone with a healthy coffee making habit will find himself or herself with a lot of used coffee grounds by the end of each week. Though the grounds have done their job in giving us our delicious java, some of us still find them too precious to just throw away. So one begins to think Are there are other ways to use them? Well in fact, there are and I’m pretty sure you, your kitchen, and your garden will love them. Hey Gang, Christopher here. Most people chalk up bad, bitter coffee to poor preparation. They might think they used too fine a grind. Or that they used too much. Or maybe they brewed too long. While coffee prep plays some role in how your coffee will taste like, bad coffee begins even before you start brewing. Heck, sometimes even before you start grinding it. And because nobody in this life deserves bad coffee, here are the top five reasons why your cup isn’t as fantastic as it should be, and how to fix it. Hey Gang, Christopher here, If you like iced coffee from popular coffee chains but hate the ridiculous prices (especially if you have them every day), then chances are you have attempted to make your own iced coffee at home. And if all you did was dump ice cubes on coffee that you prepared hot, then you were probably very disappointed with how it turned out --watery, bland, flavorless. You start thinking, maybe the guys over at the coffee shop really know what they’re doing (they do) and I should just let them do their job and pay the price. Well you can but you don’t always have to. Especially when you know what they know about making iced coffee. Butter and coffee often are staples in a lot of people’s morning meals but never together in the same cup. When I first heard of buttered coffee, I immediately thought it was a bad idea. I had no doubts that it could make my cup of black coffee more delicious but the image of a pat of fat wading in the center of my cup made me queasy. And fat makes fat, right? Preparing coffee in the morning is sacred ritual for all coffee lovers. We relish every step that brings us to that perfect cup that will jumpstart our day. However, the ritual sometimes just takes a bit too long for our liking --traditional drip coffee makers take forever to make a single cup while the pour over method sometimes feels like it takes a thousand steps and a half a lifetime for a cup (yes, time in the morning drags before you’ve had your coffee). More and more people are learning how to brew their own coffee at home and frankly, it is becoming easier as more coffee brewing apparatuses arrive in the market. If you are one of them and you are considering your options, then you are in the right place. Today, we are going to talk about one of the most popular coffee-brewing methods: the pourover. This innovative gadget awakens the sleeper with the smell of coffee and the gentle rattle of stainless steel ball bearings as the water boils. Picture waking up slowly to the smell of roasted coffee beans and only having to sit up to enjoy. What is it about island cofees that make them so outstanding? Maybe it’s their unusual combination of flavors, their satisfying texture, or perhaps their intoxicating aroma… whatever it is, Christopher Bean’s latest offering does not fall short of either one of those qualities. Cocoa, caramel, and black cherries, all in one steaming cup of Joe. Start your mornings with the exquisite yet well-balanced flavors of the Colombian Santa Barbara. Available decaffeinated, you can now enjoy the same great flavors with a smoother edge. Real good coffee is good on its own. And that is what Christopher Bean Coffee’s latest offering from the African region is --the Ethiopian Yirgacheffe. Coffee as a Health Drink? A lot of people think of coffee as a booster – nothing more than a cup of energy and alertness to rev up their mornings (or afternoons). However, there is more to Java than caffeine. Coffee is a wonderfully complex drink that can bring you a lot of health benefits… IF you prepare it right – that means if you don’t bomb it with sugar and cream (Starbucks, I am looking at you).